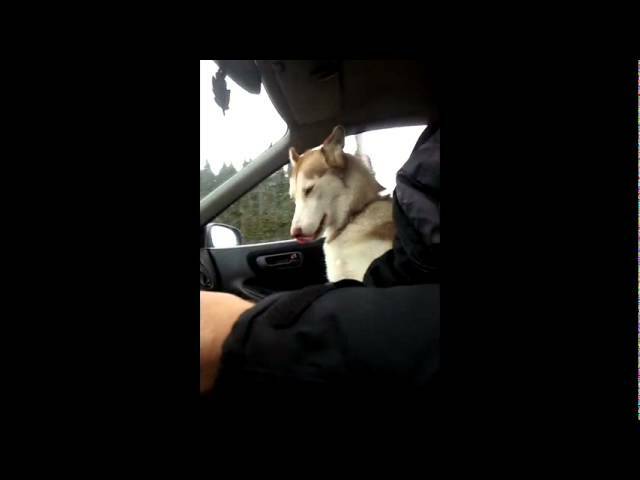 This adorable 10 month old Siberian Husky dog, named Shiro, started doing this when she was 9 months old randomly. Goober is her nickname. The video is of a 10 minute commute and it highlights some parts of the trip. This is the most annoyingly cute thing ever! Enjoy!